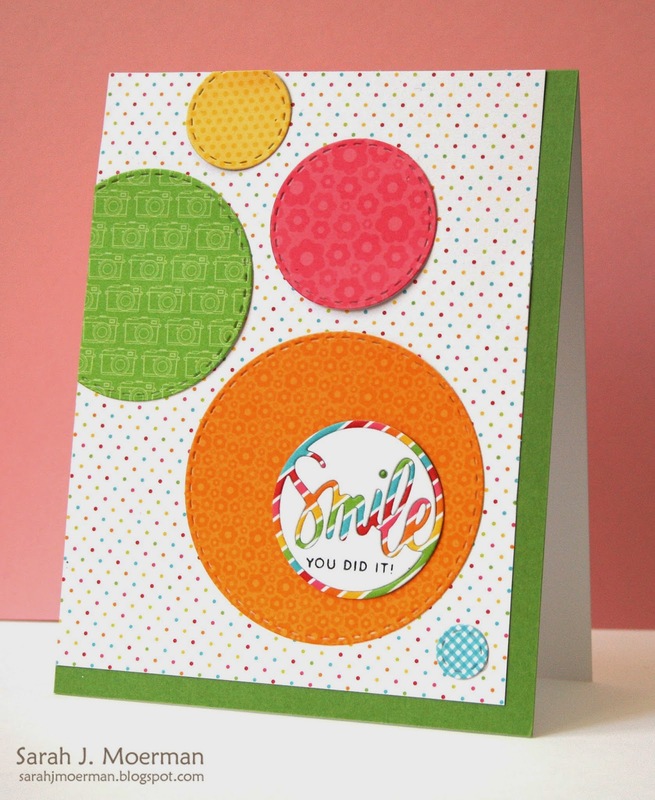 My Impressions: Simon Says Stamp June 2015 Card Kit Reveal (& GIVEAWAY)!!! 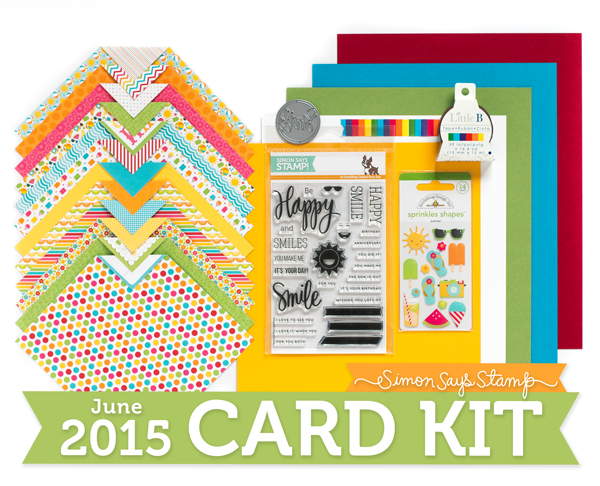 Simon Says Stamp June 2015 Card Kit Reveal (& GIVEAWAY)!!! Today is reveal day for the Simon Says Stamp June 2015 Card Kit: Be Happy and it ROCKS!! I LOVE the fun, happy colours of the Doodlebug Sunkissed Paper Pad, the fabulous Simon Says Stamp Happy and Smile Stamp Set, and Simon's wonderful Smile Circle Die! It also comes with some fun Doodlebug Summer Shapes Enamel Stickers, some Little B Rainbow Washi Tape, and some great colours of Simon's own cardstock. 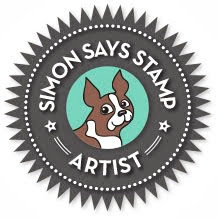 Just a reminder that you can pick up the Simon Says Stamp June 2015 Card Kit for just $29.95 + shipping. If you'd like to receive this kit and future kits for only $24.95 + shipping per month, you can SUBSCRIBE HERE. Also, sweet Heidi, owner of Simon Says Stamp, has given me an extra June Card Kit to pass on to one of you! 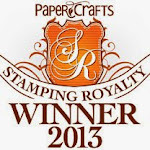 Just leave a comment on any or all of my June card kit blog posts and I'll announce a winner Friday, May 29th. Love these bright colours - will cheer anyone up! Great colors and love these cards! Amazingly fun!! Love the inlaid die cut "Smile" !! You are rocking this kit! I could use a good dose of happy right now. Thank you for the chance to win. Love the rainbow of colors, bright and happy cards!!! This is such a fun and happy kit! I'm loving that smile die! Awesome cards!! Really love the bright colors and the stamp set in this kit!! What a fun kit! i just love how you used the circle theme to create two very happy cards! What a fun and bright kit. Love the Smile die. What a cute bright kit! Love your cards! This is such a happy kit - love your cards, as always, Sarah! I love these happy colours! Both your cards look fabulous. Love the beautiful, vibrant colors!! Oh my! This is one of my favorite card kits in a long time! If I didn't have a big a/c repair bill to pay right now I would definitely be buying this kit. I love that little smile circular die. What a fun kit. It's crazy that summer is almost here and this is a happy way to usher it in. I really love these cards! What great ideas for circles! !this is such a fun kit. Nice colour combination in this kit, once again! Such a bright and happy kit with all those colours. 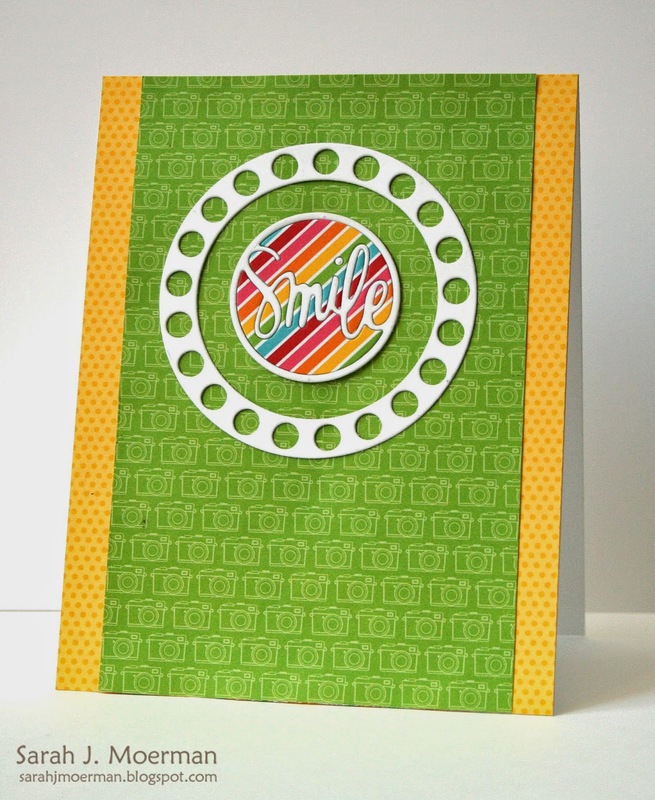 Your cards are fantastic and love the way you used the smile die!! Love the cheery colours in this kit and the smile die is such a fun addition! This is so fun! i love how you used the other part of the die so you didn't throw any away! very creative! so fun! that circle dots die that you used on the first card reminds me of a rotary phone! lOL! This looks like a great kit. Love your cards! This is a great card kit. Gotta have! Love the ideas. Great cards. So cute! Your cards and this kit just scream summer! Sarah, these cards are so fun! Love the bright colors. Sarah, your cards are so cheery, and well...HAPPY!! And this SSS Card Kit makes me ecstatic!! I love the fun colors in this kit. Anyone would love to get those bright and sunny cards! Wonderful new kit & gorgeous cards! I love that rainbow Smile die cut. I love the color combination of each card, they fit perfectly to brighten the day!!! Awe....they are Great, Sarah! Love those stitched circles and that Smile die. I can rarely throw away the negative die cuts. I store them in a drawer! And rarely use them. LOL Thanks for all that you share and a chance to win this gorgeous kit. Thanks, Paulette S.
Love the bright and cheerful colors in this kit. Your card is so cute. I love this kit, it's so bright and cheerful. Your cards are beautiful. Your cards are so pretty! I love the Smile die! Great card - it really showcases this kit's patterned papers well. This kit looks fantastic & your cards prove it! You did an awesome job! Oh my gosh, I didn't even notice the SMile circle die at first but what a great embellishment! Love the inlay!!! Your cards are both adorable! The top one reminds me of a rotary dial phone, only a lot more cute than any I ever had! Love the cards you made from the kit. The colors are so fun. Loving this kit! And your cards are so bright and cheerful! Love all the circle elements! What a fun way to used circles! Love these bright and cheerful cards!! Love the circles and that great Smile die! So full of energy! Love your color choices and all those circles are great! Like how you used both parts of smile die cut! Love love love this card! Makes me happy just looking at it! What beautiful examples and using the negative space to create two superb cards. Excellent! Wow!!! These cards are super fun!